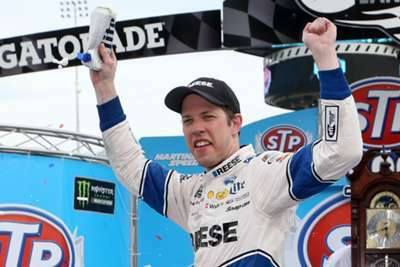 Brad Keselowski came out on top at the STP 500 at Martinsville Speedway in the Monster Energy NASCAR Cup Series on Sunday. Keselowski beat out Chase Elliott and Kyle Busch for his second win of the season. It was also his second career win in Martinsville. The 35-year-old started third and led for 446 of the 500 laps at the shortest track on the NASCAR schedule. This was the most laps led at Martinsville in modern history. Keselowski also claimed a victory in Atlanta in late February. He now has 29 career NASCAR Cup victories.